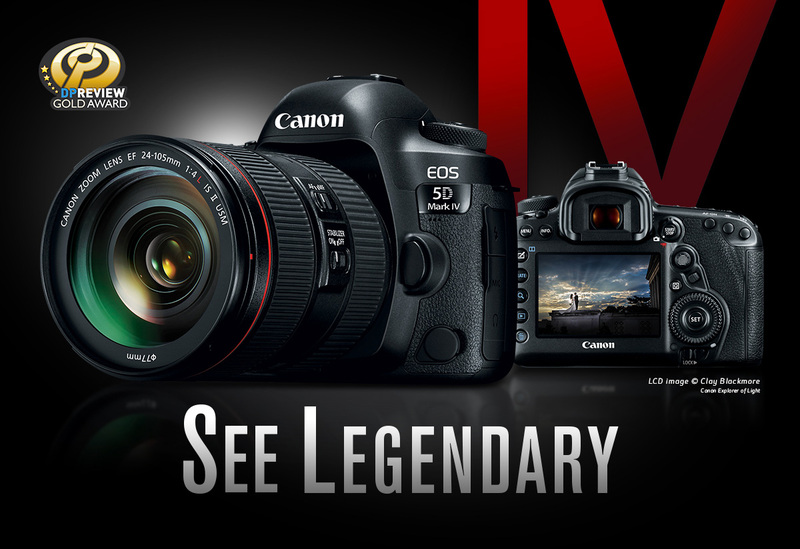 The latest addition to the legendary 5D family, the EOS 5D Mark IV camera expands on its 5D heritage with new features and enhanced operation designed to exceed expectations of what a camera can do. 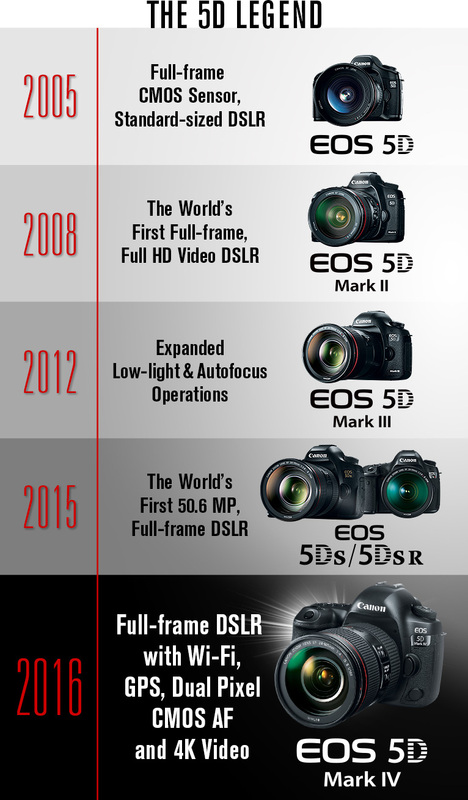 Whether capturing a bride walking down the aisle, a runner crossing the finish line or a bear tending to her cubs, the EOS 5D Mark IV boasts enhancements to deliver high-resolution still and 4K video files with the clarity and detail you’d expect from the newest EOS 5D. It pairs a new 30.4 Megapixel full-frame sensor with a range of operational improvements, such as a 61-point AF system, Canon’s revolutionary Dual Pixel CMOS AF, a DIGIC 6+ Image Processor, a brilliant 150,000-pixel RGB+IR metering sensor and more. 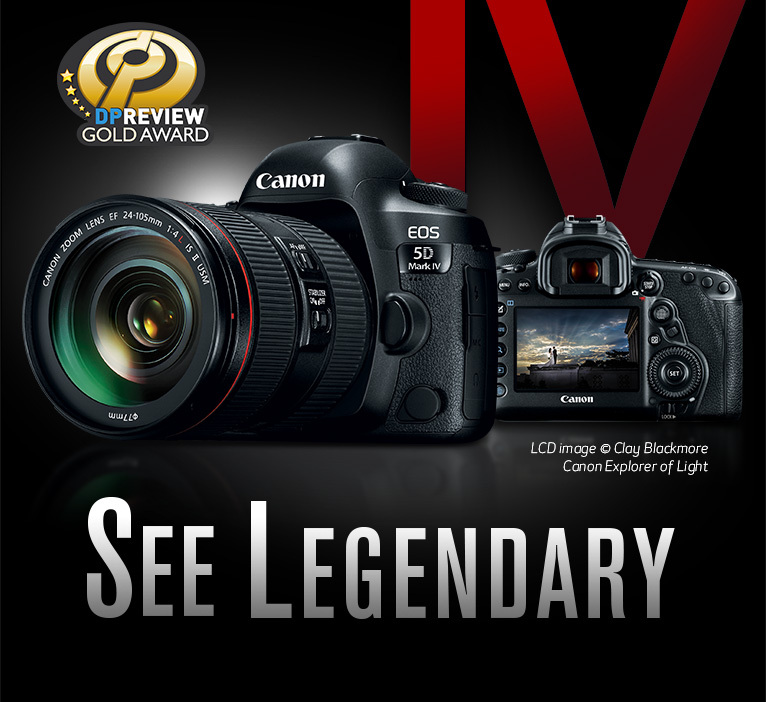 See legendary with inspiring performance you can rely on for your most important ideas. Certain effects and images are simulated.